Welcome to The Best Men Wedding Band FAQs. This is where we try our best to anticipate and answer any of those important questions you need answered right now! If we have failed you, please feel free to contact us! Who will answer my queries & take my booking? 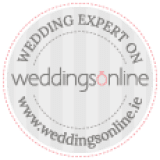 The Best Men have a full-time professional booking coordinator, Niamh Brennan. 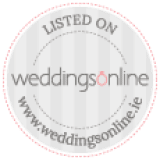 Niamh liaises with brides and grooms to make sure every little detail is taken care of, and will be on hand to answer questions, calls and emails, right up until your big day. Thus, you’ll have a pro working on your side to handle all of the logistics, so that the guys are fully focused on the music sides of things! 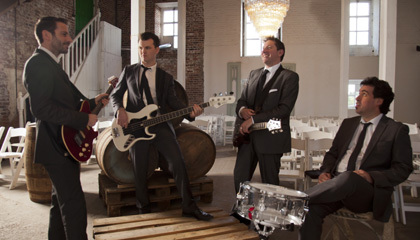 Can I provisionally hold the band for my wedding date? We offer our clients the option of securing their date with a refundable €300 deposit. 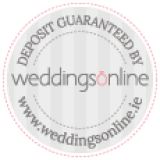 This deposit is fully refundable up until 6 months before your wedding date (guaranteed return within 2 working days via An Post Express Post). Payment can be made by laser, credit card, bank transfer or cheque. What is the next step following payment of the booking deposit? Once the booking deposit is received, your date is secured on the band’s calendar, and the official booking form will be issued to you. Can we be sure the band won’t play too loudly? When setting the volume level, the size of both your venue and wedding party will be taken into account. Throughout the course of the evening, the volume and sound will be adjusted and maintained appropriately. The band can set up all of their equipment in approximately 40 minutes. How do The Best Men dress for functions? 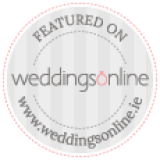 The band has a sleek and modern style, and have actually worked with a Dublin-based stylist to perfect that timeless, yet unique image that makes The Best Men stand out. Has the band played at my wedding venue previously? The Best Men have been playing nationwide for the past ten years, so in all likelihood we’ll have performed in your wedding venue before. You can view a large list of exquisite settings we’ve had the pleasure of playing in, under the ‘Venue’ tab! The Best Men have been performing together since 2000, and being a part of the band is a full-time career for all four members. Do we provide all of the equipment? Yes, The Best Men provide all of the sound and lighting equipment. 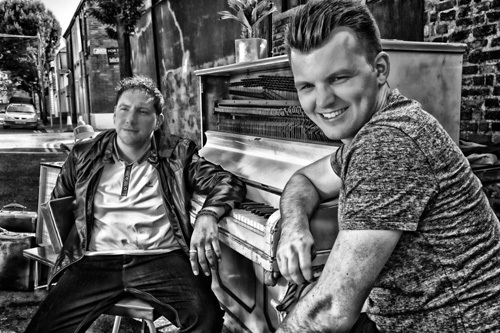 We’re professionals, experienced in taking care of every aspect of the musical entertainment at your big event, so rest assured, these technicalities are in safe hands! Does the band perform live, or are backing tracks used? 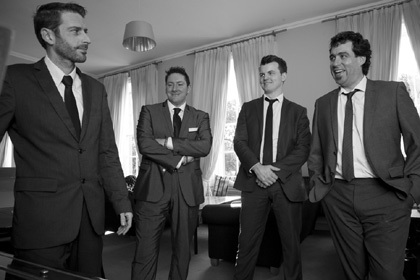 Nothing compares to an authentic live performance, and your wedding deserves more than uninspiring backing tracks! We believe in the true musical experience, and thus perform 100% live – providing that energy and spirit that’s so fundamental to great entertainment. What instruments feature in The Best Men Wedding Band? 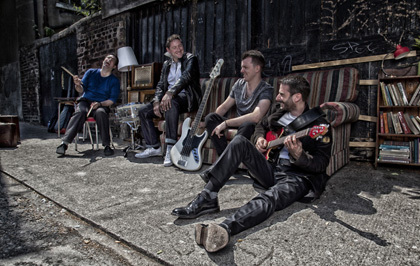 The band is a four-person group encompassing vocals, drums, bass, guitar and keyboard. Can we choose our own ‘First Song’? Yes, of course. 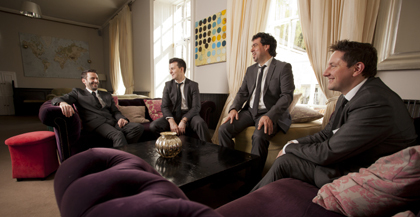 Having had years of experience communicating with brides & grooms about those little elements that make their special day flawless, we understand the importance of working with a band that is adaptable & gives you the freedom to add any of your own personal touches. We can perform absolutely any song you select, and if it would help, we can provide you with a list of the most popular first songs for inspiration. If you would prefer to have a CD played to accompany your first dance, we can play it through our quality PA system. What if a guest wishes to sing a song? The Best Men are seasoned professionals, so we’re totally experienced at jumping up and following your guest singer. The band will endeavour to accompany them, regardless of key or tempo. The Best Men are an actual BAND. They are four people who’ve known each other for years and played together a thousand times (in fact, two of the members (Col – gtr, Aran – drums) grew up next door to eachother!). There is no substitute for the tight, bonded quality of a band who live and breath each other’s playing and have done so at countless gigs.